Signed at GenCon 2015, Christopher Bair is a software developer by day, crafter of worlds and characters by night. He has credits ranging from board game designs to novels for a role-playing system. He’s assisted in running a writing group. A transplant from Northeast Ohio to Austin, Texas, he earned his Bachelor’s from the University of Akron, focusing on creative writing. He once traveled extensively through the country for fun, and seeks to travel across the oceans in the near future. His hobbies include collecting classic American books (especially first editions), and building an extensive tabletop gaming selection. 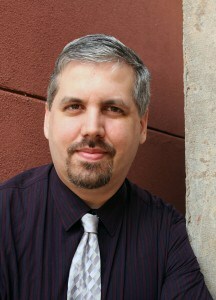 Presently, he is busy writing novels and scripts, building web sites, and creating new games.